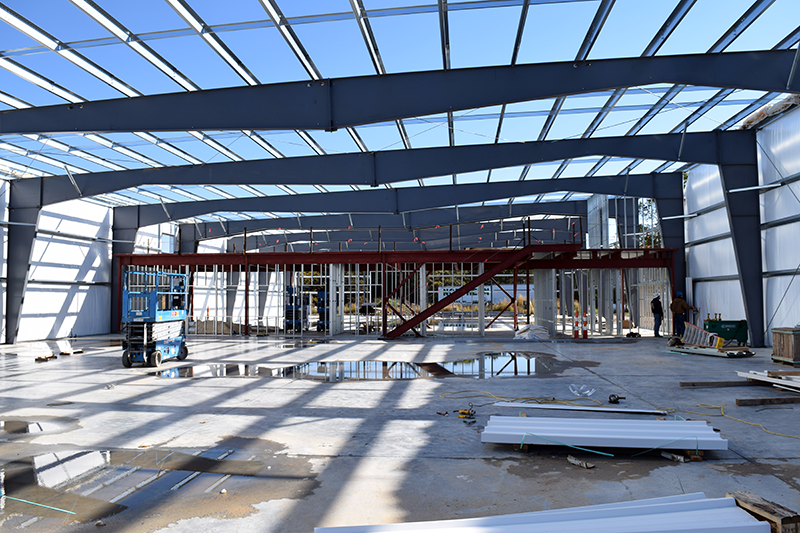 Construction Trades building on schedule for January opening — CTE: It's Working! It’s entirely appropriate that during this season of giving, a shining example of a community’s commitment to local students will emerge in grand fashion. 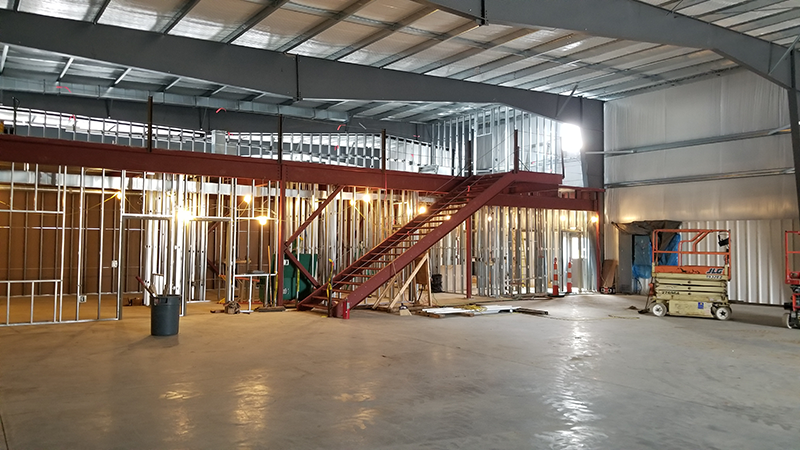 The Clare-Gladwin Career & Technical Education program’s new Construction Trades building is on target for completion just after the holidays, and students and staff are excited about what happens next. 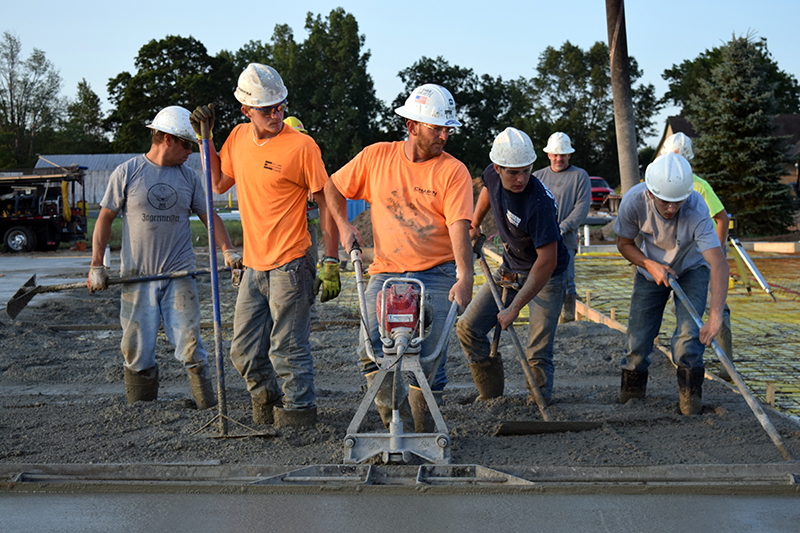 Construction began in late May on the 17,000 square-foot facility, which will house CTE’s Construction Trades students from Harrison, Farwell, Beaverton, Gladwin and Clare. That set of students will occupy part of the building; the remaining area will house an additional CTE program within a year or two. The new building joins other CGRESD/CTE facilities on the property known as The John C. Magnus Center on Old US-27 between Clare and Harrison. Last week, with the shell enclosed, work began inside the building, including installing doors, drywall and the mechanical infrastructure. The initial coat of asphalt for driveways and parking lots is in place, and the remaining asphalt work will come when the weather improves next spring. The new building is a sight for sore eyes for those associated with the Construction Trades program. A community open house will celebrate the new facility next spring. Following its standard bid process for construction projects, CGRESD selected Midland’s Three Rivers Corp. as the general contractor; several local vendors are serving as either suppliers or subcontactors, and now that the work has moved inside, students in the program will begin to get more involved, gaining a solid learning opportunity in the process. The Magnus Center property was donated by the Magnus family in 2013 with the desire that it be used by CTE and special education students. 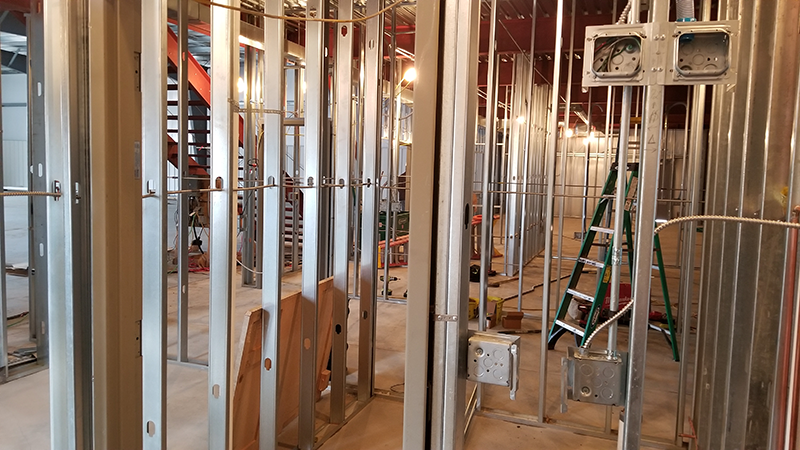 In addition to the construction students currently learning at the property, the Magnus Center also houses CTE’s Health Occupations program, as well as facilities for special education students to learn important life skills.